Golf de Luxembourg Belenhaff Hole 1: Long and slightly downhill, the drive is straightforward, with right being the worse miss with more trees and heavy left to right slope. The approach is then downhill to a green that seems all alone and open, save for the solitary sand trap short-right. The countryside views are pleasant to start the day. Golf de Luxembourg Belenhaff Hole 2: This short par five is the classic engineered double dog leg with lake right off the tee and lake left for the approach to the green. The farther one left goes off the tee to avoid the lake, the less realistic the chance of going for the green in two, and the worse the angle back to the fairway, over the water and towards the OB. The green is well-guarded by a bunker right. 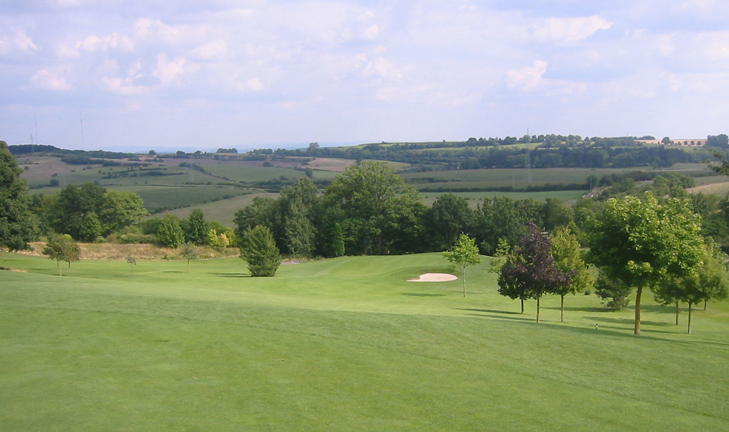 Golf de Luxembourg Belenhaff Hole 5: The drive on this relatively short dogleg right par 4 is very intimidating, even though long iron or fairway wood is plenty of club. From the middle or back tees, the ideal landing area is blocked by the fescue-covered hill on the right around which the hole wraps. The hazard on the left presents the unique fear of seeing trouble left but not being truly sure how far right is safe. The approach is a strong one if the pin is right, over a huge bunker. Golf de Luxembourg Belenhaff Hole 6 (right): This extremely difficult par four features a drive through a shoot of trees with a lake at the corner of the dogleg. Flying the lake requires a mammoth effort and most players will stay right, which leaves a long iron approach uphill to a green that is very tough to putt. 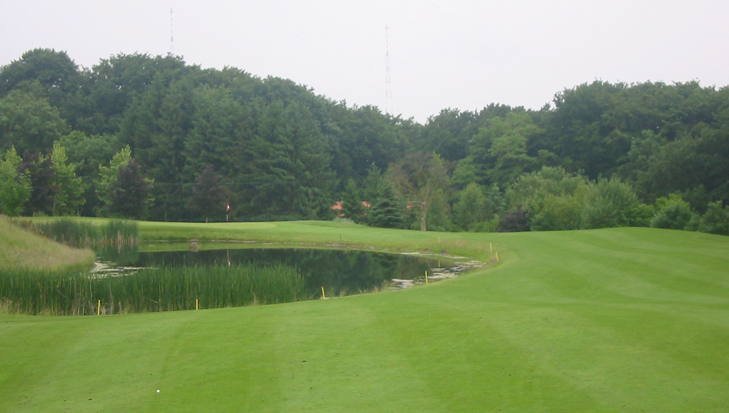 Golf de Luxembourg Belenhaff Hole 18: The final hole features an easy drive to stay right or short of the lake. However, there is a difficult approach to the green over the lake, but with a steep hill dropping off to the street behind, so distance control is paramount to avoid a bad end to the day.